This area is rich in culture. This was the heart of construction on the Grand Trunk Railway and evidence of this time in history is evident. Signs of First Nation's activities in the area can be still be found along the Fraser River at Tête Jaune Cache in the vicinity of the salmon spawning grounds. In the 1800's fur traders trapped and sold furs to the Hudson's Bay Company. The historic community of Tête Jaune Cache was named after Metis fur trader Pierre Bostonais. The nickname was given to him by the French voyageurs because of his blonde hair. Many Europeans came to the Robson Valley as settlers. They came here to ranch, farm, and trap and their history and culture is still reflected in the lifestyle. During the Second World War, Japanese Canadians were sent north to work on roads, and internment camps were set up in the area. The railroad was a key element of development and heritage railway stations are still in use in the local communities. Evidence of the early railway settlements can still be seen along the Fraser River throughout the valley. 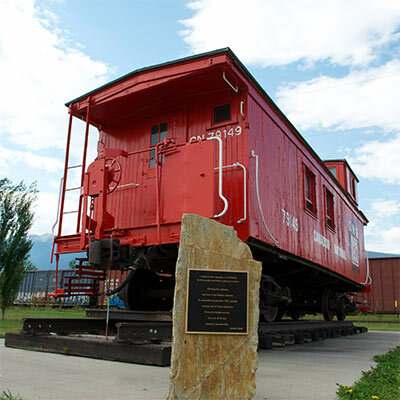 A visit to the Valemount Museum or the Valley Museum and Archive in McBride will take you on a fascinating tour through the past.